At n-psi we realize the importance of chilled water in industry and has developed the C-Series1 line of precision controlled industrial process chillers to meet the increasing demand for high quality complete packaged solutions which meet various industrial applications. 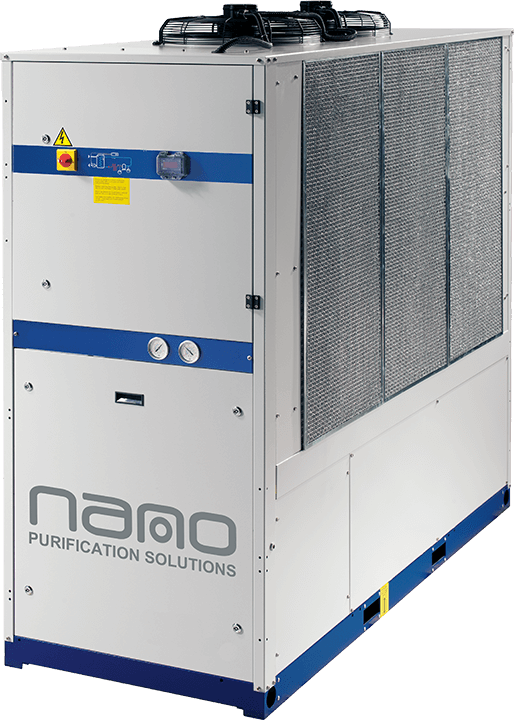 The advanced nano C-Series1 industrial process chillers benefit from the experience of a design that has been perfected over 20 years and repeatedly proven by hundreds of thousands of units in operation around the world. Designed together with industrial users, these chillers have stood the test of time in virtually every industry and application. The C-Series1 operates in a closed circuit, offering precise water temperature control and rapid response to changes in ambient and thermal load. This design also eliminates the waste, corrosion and bacterial growth associated with open circuit systems. In addition, energy efficient and reliable compressors combined with a unique oversized in-tank evaporator provide the lowest operating costs available on the market today.